Simply hold the replaced pen tip,pull it out easily,insert the new tip into and use. The tip slid in easily and make your pen working fine! You may find that you never need to replace the tip in your Microsoft Surface Pro 3 pen, but when you do, this is your best/only option, aside from buying a new $50 pen. If the tip of your tip breaks off inside the body of the pen, use a pin and carefully and slowly push it into the soft plastic of the broken pen nib. This will allow you to extract it for replacement. 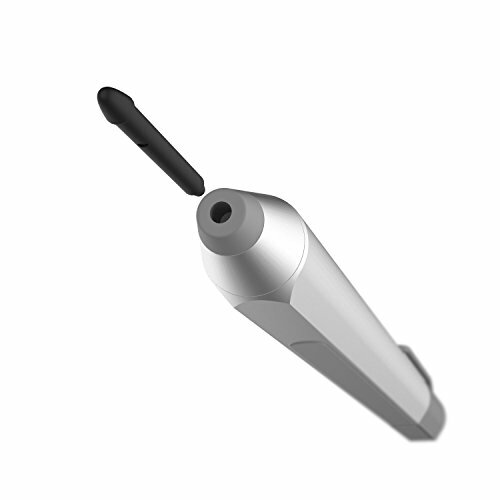 Compatible For Microsoft Surface Pro 4 Touch Stylus Pen. Easy to change tip of Touch Pen for Microsoft Surface Pro 4. Include 3 tips, Not Include Touch Pen. If you have any questions about this product by Wsken, contact us by completing and submitting the form below. If you are looking for a specif part number, please include it with your message.